Using JUUL To Stop Smoking, A Valid Solution? When it comes to smoking cessation, millions of Americans are turning to Juul to stop smoking. The most prevalent product on the market, over the last couple of years it has not only picked up popularity from coast to coast but is working to bring the truth about Vaping to the American Public. What makes the Juul so popular, where did it come from and exactly why has this amazing little device gained a reputation as the most misunderstood vapor product on the planet? While the company will tell you it’s helping smokers to “Make the switch”, in reality, they are helping smokers end, in some case decades-long, addictions to cigarettes. When it comes to mainstream vapor products, there is no name more widely known than the Juul. Love it or hate it, this tiny pod system has been accredited with a market share between 65 and 73% (depending on the source). JUUL managed to do in a very short time what other companies have been trying for a decade to do, broke out of the fringes and become a household name. Introduced by Pax labs in 2015, by 2017 it was in corner stores across the country. Developed by 2 former smokers, Adam Bowen and James Monsees, under the name of Ploom while at Stanford University, they looked at what people were really looking for. Not the big, flashy box-mods that vape enthusiasts enjoyed but a product that could help the average smoker get away from cigarettes. The concept for the JUUL to stop smoking habits has always been at the forefront of the business model. They were not hidden away in vape shops, but on the exact same shelves that the cigarettes they were trying to replace were being sold. The concept seemed to work as they exploded almost overnight. Everywhere you turned, whether it was Gas Stations or the Grocery Store, the Juul name was popping up and becoming a mainstream threat to anyone making money from Tobacco sales. It goes without saying that we have all heard the bad press surrounding the Juul product line, ever since Campaign for Tobacco-Free Kids and the FDA decided to use the company name as a whipping post in there attempts to destroy the safer alternative to combustible Tobacco. 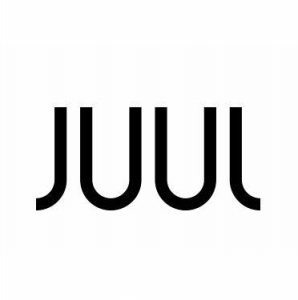 Organizations that are supposed to be in the business of bettering Public Health used the Juul brand to paint a dishonest picture and an epidemic amongst teens that doesn’t exist. Even when the company backed down and voluntarily raised its age of purchase above the national law and removed its flavors, limiting choices for adult users of its products, these agencies doubled down. When Altria -one of the largest cigarette manufacturers in the world- bought a sizable share in Juul, the company used a portion of the funds to fight back. If you haven’t seen or heard the “Make the Switch” commercials yet, you will as soon as you turn on the television. Fighting back against its public image, a ploy designed to crush the company, accusing them of actively marketing to underaged users, the only thing you will see in this campaign are folks in their 30’s and 40’s talking about their success in using the JUUL to quit smoking. There has to be a reason that this tiny device has been so successful though, right? When it comes to current smokers, they are looking for a simple device that in reality is no more difficult than smoking a cigarette. Juul ticked off all the boxes that they were looking at. It is inconspicuous, not much bigger than a USB thumb drive, and extremely simple to operate. Smokers are generally not looking to fall into a giant learning curve of changing coils and filling tanks, they are looking for quick, easy and clean. When the pod of a Juul is empty, you just throw it in the trash and install a fresh one. Smokers aren’t looking to invest a fortune in hardware not knowing if it’s going to work, they are looking to save time, effort, money and their health. The main reason that using Juul to stop smoking became such a massive success though, in all honesty, was its availability. When someone goes in to buy a pack of smokes and a much less harmful alternative is staring them back in the face, they are more likely to pick it up and give it a try. 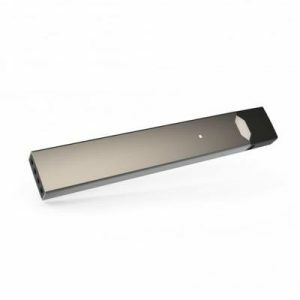 If you are a current smoker who has seen a Juul in the convenience store, how many times have you considered picking it up and giving it a chance? Using JUUL to quit smoking, according to recent research released is much more likely than using any other cessation method available to you today. Nice work Blake! Keep hammering away Juul!